New advances in polymer science and their possible applications have increased in recent years highlighting their important and desired properties. Regarding cyclodextrin and chitosan polymers, they are used in many fields such as agriculture, pharmaceutical, food industry, medicine and in electrochemical sensors. Carefully designed studies are therefore required in order to understand the toxicology, the ways of interaction, biodegradation rate and other parameters of these compounds before using them. 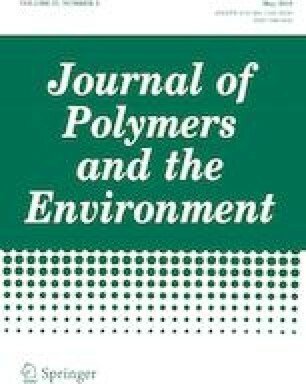 This review presents the finding of studies of these polymers applications mainly on drug delivery system and pollutants removal. In addition, modifications are made to enhance their properties and enable some reactions, here it is discussed the most used modification techniques and how they change chitosan and cyclodextrin structure. Although there has been an increase in the number of studies in these areas, further progress is needed to improve understanding of the interaction between the polymers and the compounds of interest, besides their mechanism. The authors are grateful to the Coordenação de Aperfeiçoamento de Nível Superior (CAPES) and the Conselho Nacional de Desenvolvimento Científico e Tecnológico (CNPq) for the financial support.